You can add anything to mix salad. Any fruits or vegetables, mushrooms, corns, olives and the list go on. 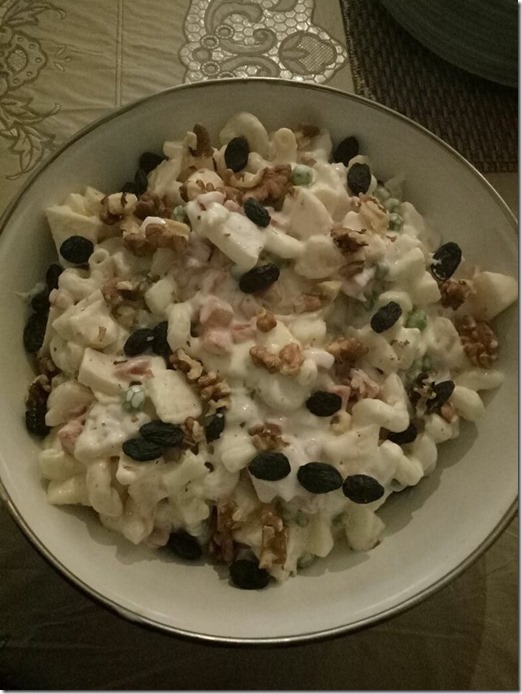 I also added some nuts in it to enhance the taste of fruits and vegetables. Mix cream, mayonnaise, salt, black pepper an sugar in a bowl and mix well. Add all vegetables and fruits in another bowl and mix mayonnaise mixture in it. 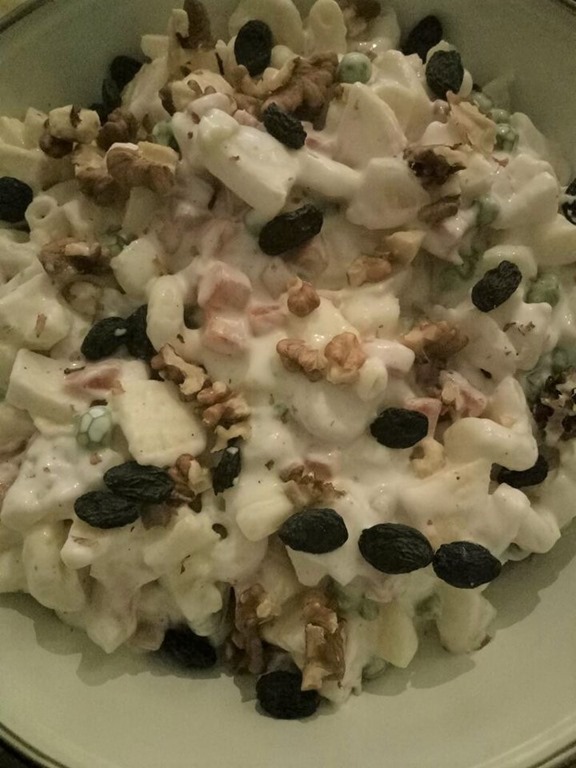 Garnish it with walnuts and black raisins.